Yesterday evening 9 February near 23:38:30 local time (22:38:30 UT) the International Space Station (ISS) made a transit in front of the moon, as seen from Leiden. While the pass itself was good (the transit occured at 45 degrees elevation), atmospheric conditions were far from perfect. 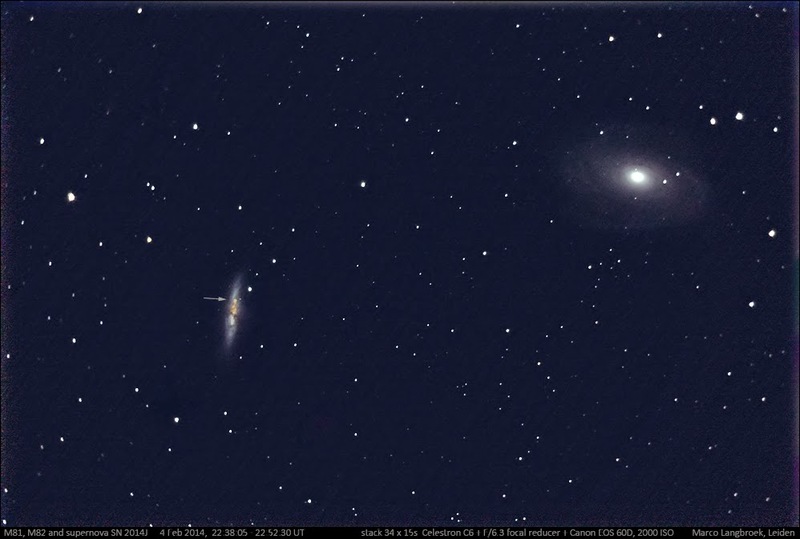 The evening started clear, but as I was setting up the Celestron C6 fields of clouds came in. There was a strong wind rocking the telescope tube.While focussing on the moon, I noted that the seeing was abysmal: the lunar disc trembled and shivered from atmospheric turbulence, and rolling waves went over it, as if it was reflected on the surface of water. Test shots showed a much more blurred moon image, even at 1/400s, than I am used to with this instrument. The final minutes were tense. A field of clouds came in and covered the moon minutes before the transit would start. Near the horizon I could see even thicker clouds. In the last two minutes before the transit, a gap in the scattered clouds appeared. At the moment supreme, 22:38:29 UT, the moon was right in this clear gap! 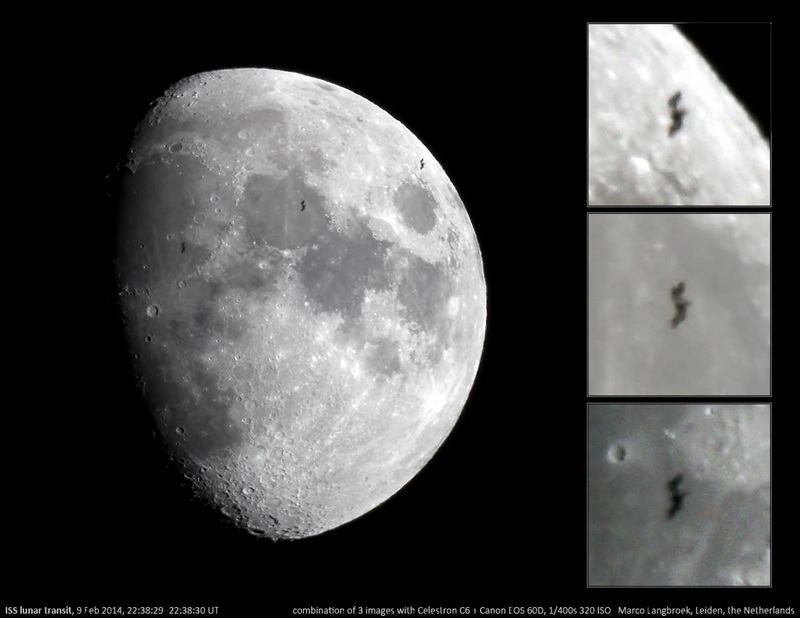 Three images out of a rapid burst series started a few seconds before the calculated transit time captured the ISS, as a ghostly dark bat in front of the moon. Nothwithstanding the bad seeing, wind and perhaps a slightly too long exposure time (1/400 second), structure is visible: the ISS solar panels are well visible for example. The ISS was at a distance of 575 km over the British channel during the transit, with an apparent size near 48". The transit took less than 1 second. As the ISS was not illuminated by the sun, it was visible as a dark silhouet (see the image above).